You’ve probably heard by now that for optimal health, it’s best to incorporate a wide variety of colorful fresh foods into your diet. Eating organic green foods helps to provide a much-needed boost to the immune system, particularly beneficial during the cold and flu season as well as offering potent anti-inflammatory properties that can aid in preventing a host of illness and disease. By consuming these green foods as often as possible, you’ll be helping to ensure a healthy body and mind for years to come. Kale’s popularity has skyrocketed in recent years as one of the most potent green superfoods, packed with antioxidants, anti-inflammatory compounds and anti-cancer properties in the form of glucosinolates. This cruciferous veggie is also filled with immune-boosting vitamin A as well as vitamin K to support bone health in addition to containing effective cholesterol-lowering traits. Avocado contains healthy monounsaturated fat that can help lower cholesterol and keep you feeling fuller longer. They’re also rich in vitamin E and lutein, an antioxidant that helps to protect eye health. Avocados also offer powerful anti-inflammatory effects, support heart health, offer anti-cancer benefits and aid in regulating blood sugar. Brussel sprouts are packed with vitamin A, vitamin C, folate and potassium as well as the mineral manganese. Just one and a half cups offers 430 milligrams of ALA (alpha-linolenic acid), a significant contributor to their anti-inflammatory benefits. Spinach is considered one of the most potent superfoods and one of the healthiest vegetables on the planet. It offers a variety of vitamins and minerals and is especially rich in phytonutrients like carotenoids, beta-carotene, lutein and zeaxanthin. It is known to help battle inflammation as well as oxidative stress. It also helps prevent cancer, is heart healthy and supports good bone health. The prickly pear, or nopal cactus, is indigenous to Mexico and part of the southwest region of the U.S. It’s been a staple part of Tex-Mex and Mexican cuisine for years, but research in recent years has discovered that it’s also a potent superfood, rich in antioxidants as well as cholesterol lowering properties. Prickly pear leaves can help to lower blood sugar levels, making it an especially beneficial food for diabetics. Kiwis are especially nutrient dense, providing 230 percent of the recommended daily allowance of vitamin C and even more potassium than a banana. It also offers vitamin E, folate, and is known to help protect the body’s cells from oxidative damage. Green tea is considered to be the best source of catechins, which are considered even more powerful than vitamins C and E in battling oxidative damage to the cells as well as offering numerous disease-fighting properties. Drinking green tea on a regular basis can help reduce your risk for heart disease as well as a number of cancers in addition to improving artery function. Seaweed is one of the richest natural sources of iodine on earth, as well being a great source of calcium and iron. It also offers unique anti-inflammatory and anti-viral properties and is known for being especially beneficial for preventing and even treating cancer in addition to supporting the immune system. Work these wonderfully beneficial green foods into your diet to support your good health! 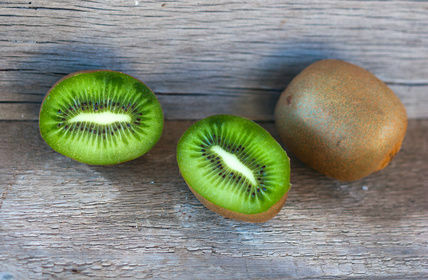 Hey Buddy!, I found this information for you: "8 Green Foods You Don’t Want to Pass Up". Here is the website link: https://www.thealternativedaily.com/8-green-foods-dont-want-pass/. Thank you.